question_answer1) Which one of the following is not included in the nucleus? question_answer3) Which one of the following is related to inheritance of characters from one generation to another? 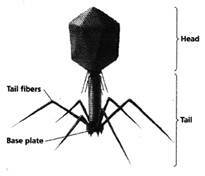 question_answer4) Which one of the following is present in animal, plant and bacterial cell? question_answer5) Which one of the following statements is correct? question_answer7) The table given below has certain terms and five spaces named a, b, c, d and e.
From the options given below choose the correct Combination of terms. question_answer8) Which one of the following statements is correct? (i) They have membrane bound organelles including a nucleus. (ii) Bacteria are examples of prokaryotic cells. (iii) Lysosomes are present in eukaryotic cells. question_answer12) Which of the following is a type of plastid? question_answer13) In eukaryotes genes are located in ____ of the cell. question_answer14) Which one of the following represents parts of an animal cell? question_answer15) ____ is the unit of inheritance in the living organisms. question_answer16) Which one of the following represents the correct level of organisation ranging from simplest to most complex? question_answer19) Choose the correct option for labelling the given figure of an animal cell. question_answer27) Which of the following statements is correct? (i) Bring about the movement in body parts. (ii) Make contacts with many other nerve cells. (iii) Carry water and mineral salts from roots to leaves. (iv) Carry messages over long distances i.e between brain and other parts of the body. question_answer32) ____ is the largest cell. question_answer34) _____ is carried out by ribosomes. question_answer37) Which one of the following lacks in prokaryotic cell? question_answer40) _____ is the power house of the cells.